Study in the beautiful Bay of Islands with QRC Tai Tokerau Resort College. 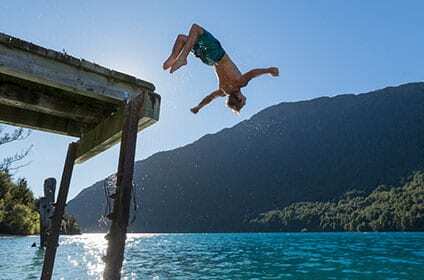 With campus locations in Paihia (Hospitality Management & Tourism Operations) and Kerikeri (Cookery), QRC Tai Tokerau Resort College offers great study options in the Northland region. Renowned for its natural beauty and strong history, the Bay of Islands is fast becoming a major national and international tourism destination. With world-class resorts, restaurants and tourism operators on our doorstep, students become immersed in the industry from day one. 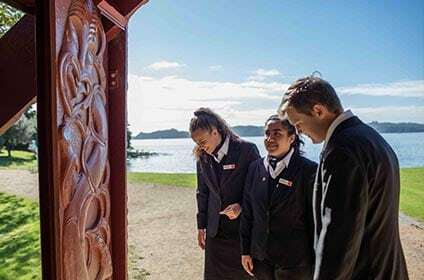 Opened in 2016, with the strong support of New Zealand Māori Tourism, local Iwi and business community, QRC Tai Tokerau’s aim is to equip students with the skills and experience to be tomorrow’s tourism leaders and entrepreneurs. Conveniently located in the heart of Paihia, a short stroll to both the Paihia waterfront and QRC Tai Tokerau Halls of Residence. The Paihia campus offers large classrooms, a full computer suite and barista facilities. The campus location allows students to become immersed in the tourism industry, with the programmes incorporating industry familiarisation visits and guest speakers. At QRC Culinary students gain their experience in a high-quality commercial kitchen environment. The kitchen boasts 16 fully equipped cooking stations, complete with stainless steel work surfaces and gas cooking, as well as large demonstration space. Students are able to experience and master a multitude of cookery techniques, with access to specialised culinary equipment including: a combination oven (dry heat & steam), ice cream machine, smoker, sausage maker, Sous Vide cooker and full pasta making equipment. The QRC Culinary Campus also includes classrooms and an onsite function space and bar which can operate as a restaurant. Onsite parking is available for students and visitors. Transport options are available from the Paihia Halls of Residence. QRC Tai Tokerau Resort College Halls of Residence offers whanau-style accommodation for QRC students studying Hospitality Management or Cookery. Located a 5 min walk from the centre of Paihia, the Halls of Residence offers fully equipped twin-share rooms. The lodge is fully catered offering 3 meals a day, 7 days per week and our friendly Lodge Managers are onsite to provide support and pastoral care whenever needed.